Considered as the center of Vietnam’s business world, Ho Chi Minh (Hồ Chí Minh) City – formerly Saigon (Sài Gòn) – is also the home of the largest community of expatriates working and living in Vietnam. In fact, the development of tourism industry has resulted in rapid changes to the old Saigon, including the number of Ho Chi Minh restaurants for both locals and tourists. Ho Chi Minh City has been recently become a city where people could enjoy dinning in sophisticated restaurants with great menus and delightful surroundings. People can enjoy a lot of tasty foods, from delicious Vietnamese food to cuisines from around the globe, such as India, France, Italy, Japan, Thailand, and China. Saigon offers the widest array of restaurants in Vietnam, and virtually every world cuisine is represented in Saigon. The area around Dong Khoi (Đồng Khởi) is the home to many fine-dining choices. You can ask the locals where to eat; they will point you to those outdoor stalls in places like the open market area opening in the evening just adjacent to Ben Thanh (Bến Thành) market, or to a small neighborhood storefront. However, if you are going to visit Ho Chi Minh City, and looking for the best Ho Chi Minh restaurants, then here we walk you through some of the best ones for tourists. Just simply take a quick look at 19 out of Ho chi minh restaurants! This restaurant serves modern and traditional Vietnamese food. Xu restaurant cooks modern Vietnamese food using new techniques to emphasis on a particular ingredient. Whether it is a dinner for two or more or a corporate event, Xu Restaurant is high on this list of top Ho Chi Minh restaurants. Want to escape the crowd? This restaurant is an ideal choice which offers a private room that could hold up to six individuals. You should enjoy Banh Bot Loc (Bánh Bột Lọc), Vietnamese Cang Cua (Càng Cua) Salad, Rice Cracker Banh He (Bánh Hẹ) Beef and end if up with chocolate kumquat truffle here. Location: 71 – 75 Hai Ba Trung (Hai Bà Trưng), District 1, Ho Chi Minh City. Are you looking for a novel and innovative restaurant experience? Then, do not skip Com Nieu Sai Gon restaurant. 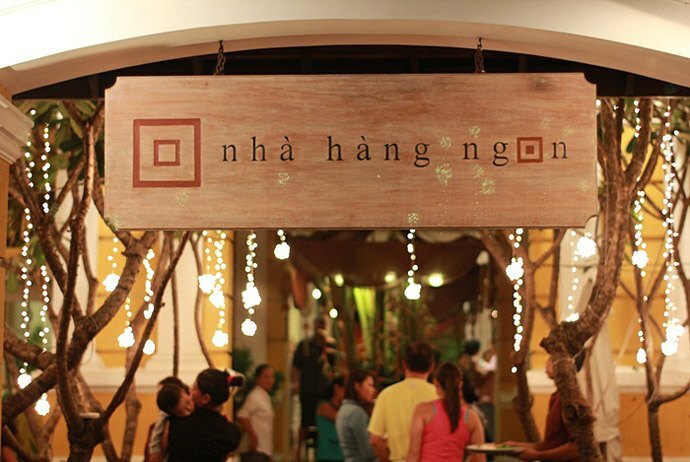 The name of the restaurant itself shows that you can find and enjoy great traditional Vietnamese food here. This name – “Com Nieu Sai Gon” – implies this restaurant is the only place that visitors can find the best served clay pot baked rice. Specializing in such type of dish, this restaurant is really a perfect eatery for those who wish to experience street food in such an exquisitely designed background. There are also exceptional dishes offered here, such as Com Dap (Cơm Đập) with its great combination of sesame seeds over crispy rice, nuoc mam (nước mắm), along with the seafood pan-fried noodles. Location: 59 Ho Xuan Huong (Hồ Xuân Hương) Street, District 3, Ho Chi Minh City. If you feel you need a break, or would like to try something new, that is when you should think of Scott & Binh’s Restaurant. 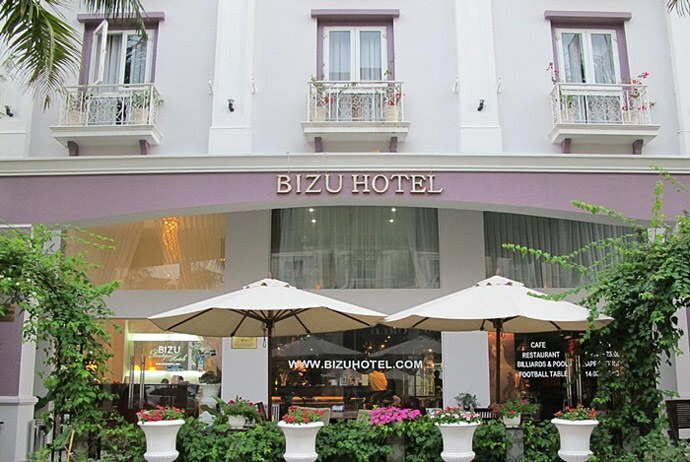 Sharing the street-front with the Bizu Boutique Hotel, this restaurant has tables with purple upholstered seating adding to the down-home atmosphere. The owners of this restaurant strive to make their guests feel like they have come to their “house” for dinner. Scott & Binh’s restaurant, one of the most unique Ho chi minh restaurants, serves dishes with a contemporary take on American cuisine. The food tastes great as well. Vegetables are fresh while the meat is tender and juicy and the bread is delivered daily. Portion sizes in compared with other Saigon restaurants are ridiculously larger. Its menu of comfort food is completely affordable. If you are a person who loves scenic eating, an outdoor seating area is available here. Besides, to top it off, its service is impeccable. Whilst the menu is thick, and the served food is tasty, what really makes this restaurant stand out is Scott himself – the American chef who has a successful and long history in the hospitality industry. Scott does a good job at both greeting guests at the door and providing them with great foods. These aim to make sure that guests are well taken care of. Always eager to communicate with guests, sometimes you may feel like more like a dinner guest rather than a client. Scott and Binh’s is not a huge restaurant and you might drive a bit out of downtown to enjoy a cozy atmosphere. However, it is absolutely worth your try when it comes to great Ho Chi Minh restaurants. Location: 15-17 Cao Trieu Phat (Cao Triều Phát) Street, Ho Chi Minh City. 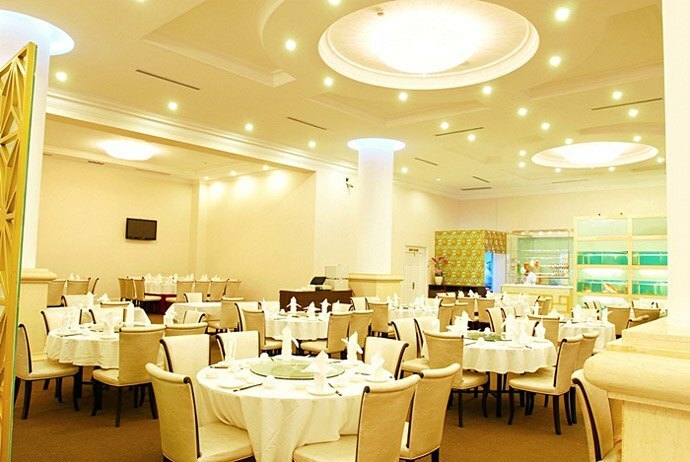 If you love to enjoy some Chinese food, Ocean Palace is your great option in regard to Ho Chi Minh restaurants. In fact, according to locals, it is the best Chinese restaurant in Saigon. This place is recommended for the food which is really top quality and skillfully prepared. Ocean Palace will never disappoint anyone when they go for Dim Sum. Nonetheless, the prices are high and the place is very fancy, which requires a bit of dressing up. 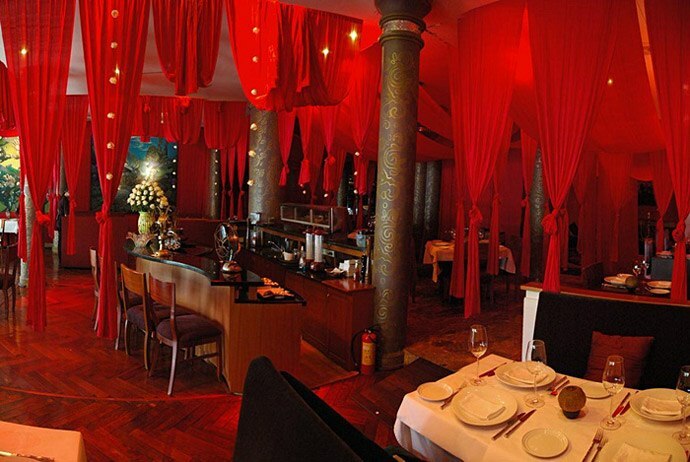 With bright, full-on, upscale Chinese opulence, it is a restaurant for a romantic couple and the service is attentive. Location: 2 Le Duan (Lê Duẩn), Ben Nghe (Bến Nghé­), Distric 1, Hồ Chí Minh City. 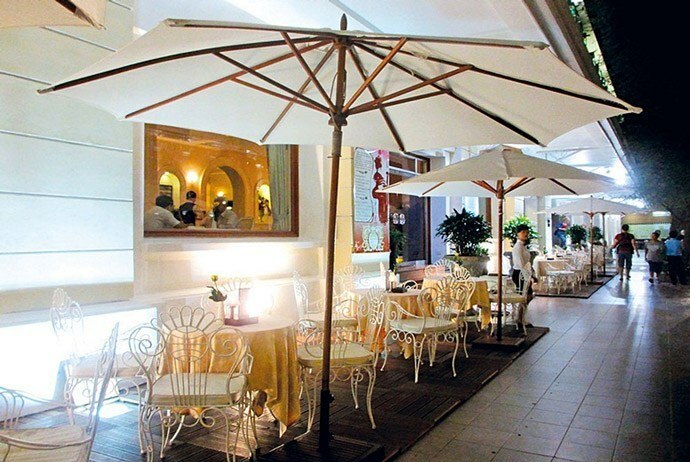 This is a French restaurant among many great Ho Chi Minh restaurants that tourists should not overlook. This place is where you can choose to dine either in the luxurious interiors or along the pool side situated among a variety of flower species. The restaurant serves really authentic French cuisine. 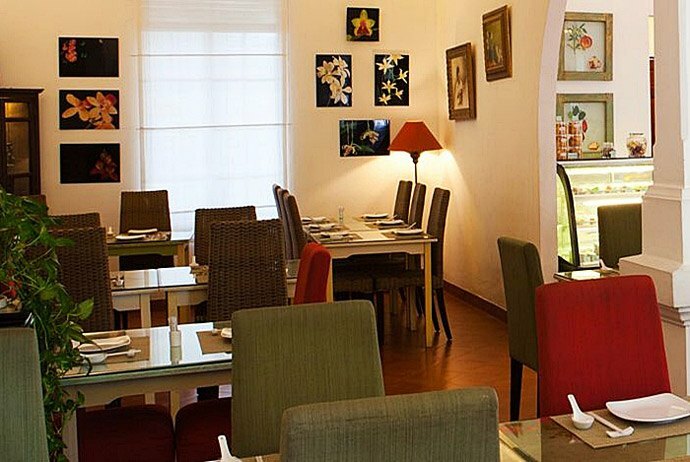 A meal at La Villa French Restaurant allows guests to escape the hustle and bustle city for a few moments and enjoy a bit calm. 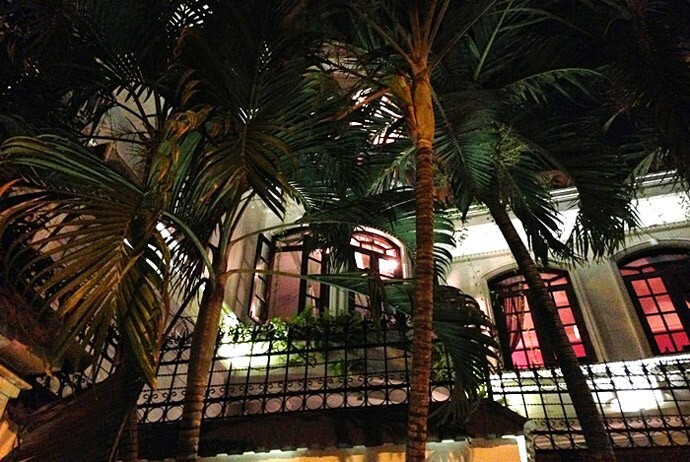 Situated on a quiet side road off Thao Dien (Thảo Điền) in District 2, as a guest, you can enjoy both lunch and dinner in the refined interior or serene courtyard, with experienced and attentive staff. Every day, the food is prepared with a new formula, which uses fresh ingredients from the market by La Villa French Restaurant’s French chef. The restaurant itself has a wide array of collection of Red and White wine. Location: 14 Ngo Quang Huy (Ngô Quang Huy) Street, Thao Dien (Thảo Điền) Ward, District 2, Ho Chi Minh City. Being set atop the Center Tower, and offering unparalleled panoramic views from almost every table at the restaurant, Shri Restaurant & Lounge is one of the most luxurious renowned Ho Chi Minh restaurants. Frangipani trees along with water features and the atmosphere of air-opening make this restaurant become a perfect choice for tourists to unwind after a long day of exploring the vibrant city. The dishes served here are beautiful home-cooked European food in an ambient and relaxed setting. These foods proffer an exquisite taste of Europe in Asia. There is a spacious lounge and bar cozy lighting and large picture windows in this restaurant. Being opened in 2010, Shri restaurant and lounge offers a hospitable service from their team of attentive and knowledgeable staff. Location: Rooftop – Level 23 – Centec Tower, 72 -74 Nguyen Thi Minh Khai (Nguyễn Thị Minh Khai), District 3, Ho Chi Minh City. 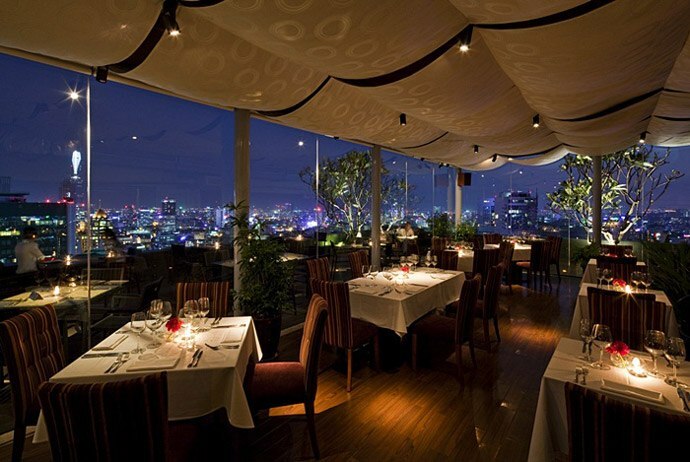 Cirrus Saigon is the sky-high restaurant, which takes fine dining literally a new level. 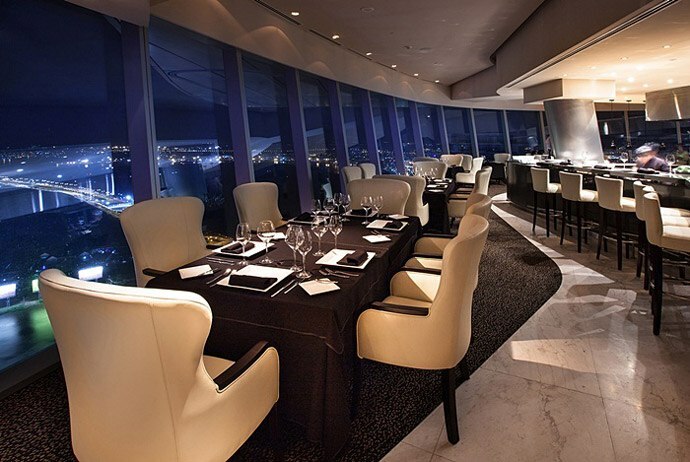 Located on the 51st floor of the Bitexco Financial tower, Cirrus Saigon has sleek dining tables balancing on wooden mezzanine floors. They ensure that every guest will get an eyeful of wonderland lying beneath them. This restaurant is rather new and has been a roaring success with both tourists and locals. Make sure that you book in advance as the restaurant limits their booking to a maximum level of 30 guests each night to make sure that the guests’ experience is amazing. 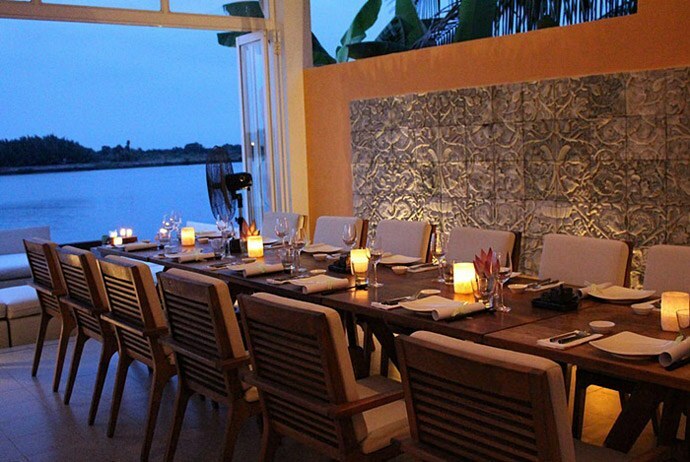 Critics have greatly praised this restaurant and predicted that it will soon become one of the most celebrated culinary offerings of Vietnam. Location: Level 51 Bitexco Financial Tower, 2 Hai Trieu (Hải Triều), District 1, Ho Chi Minh City. Keep reading this detailed list to discover more great Ho Chi Minh restaurants to enjoy! The restaurant serves a perfect blend of regional cuisines from Thailand, Myanmar, Cambodia, Laos, and of course, Vietnam. The menu of Monsoon Restaurant & Bar Saigon gives guests an opportunity to select from a handful of signature appetizers, desserts and mains. Burmese-owned, Monsoon provides you with various spectrums of the aromas and tastes found in the whole of South East Asia. 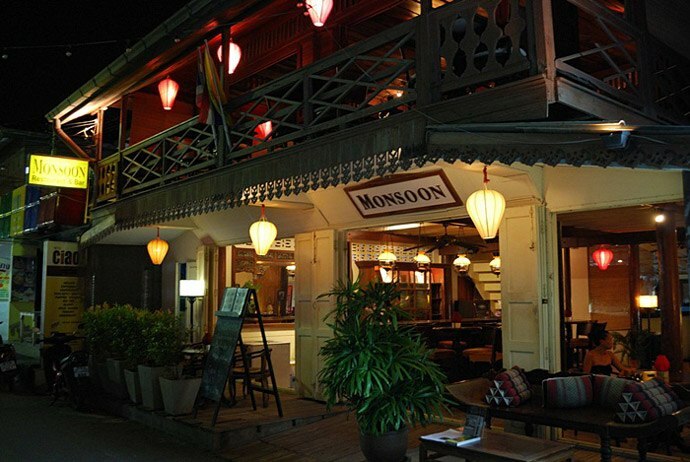 Offering a really international experience, Monsoon Restaurant & Bar Saigon offers great cuisines for those looking for trying a few different palates in just one evening. And, do not skip the spectacular Laos-style lab gai or mohinga – the national Burmese dish if you have a chance to come here. Location: No.1, Cao Ba Nha (Cao Bá Nhạ), Nguyen Cu Trinh (Nguyễn Cư Trinh) ward, District 1, Ho Chi Minh City. Dong Pho Restaurant is well-known locally for “Pho” (Phở), one of classic Vietnamese dishes including white noodles in a broth with either beef or chicken. Really, this is one of the best places to try a delicious plate of Pho. In addition to great taste of Pho served, this restaurant is popular with local people for its affordable dish options and friendly, quick service. Besides, there are many other worth-trying foods, such as crumbled shrimp, steamed rice cakes with the dried shallots and Hue beef noodle soup. Location: 57 Ho Xuan Huong (Hồ Xuân Hương) Street, District 3, Ho Chi Minh. This restaurant is worth visiting for those with vegetarian choices. Baba restaurant has two floors and has set Bui Vien (Bùi Viện) alight with its fine aromas, flavors, and spices of India. This is a perfect stop if you need a break from Vietnamese food or when you are craving some quality Indian food. 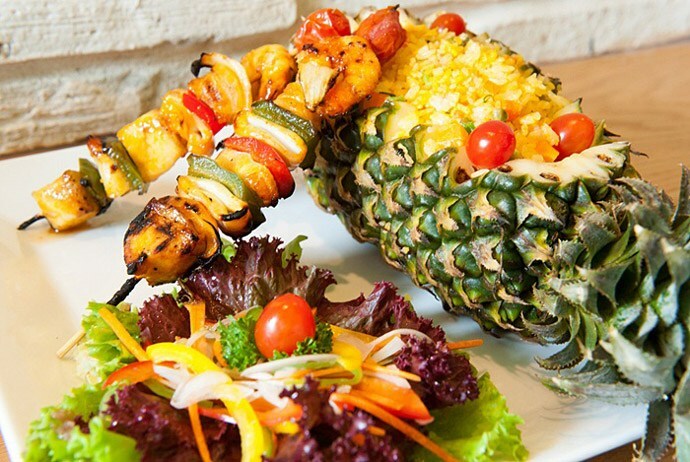 While there are a few vegetarian dishes on offer, most diners go for the signature skewers, including jumbo shrimp, saffron-marinated chicken, and vodka-flamed tenderloin beef. The food introduced here is affordable, tasty, and the staff is so friendly. If you like your food eye-catching spicy, the vindaloo dishes could help, although the waiter might politely caution you that they are “rather hot”. 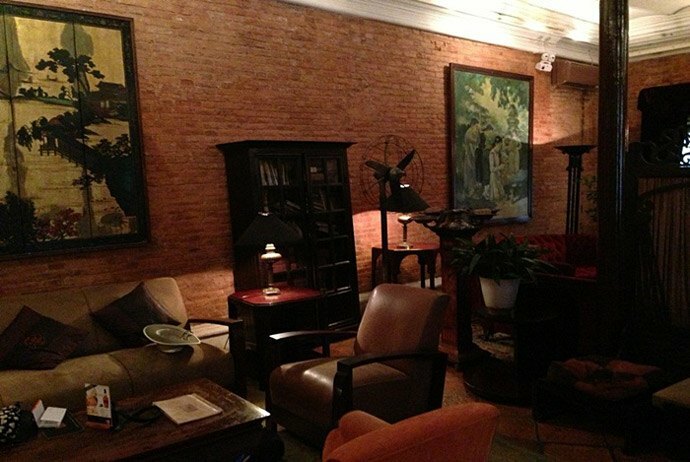 Decoration is stylish, with smoking rooms upstairs, bare brick walls and there is an extensive list of wine. Camargue is a refined French restaurant set in the courtyard of the old colonial-era opium factory. Whilst not precisely fine-dining, the ambiance is sophisticated and the cuisine is French with a little bit Vietnamese touch. The highlights include seabass and squid served with the sweet chard, crispy pork leg which is marinated in a slight spice, roast lamb with polenta enriched and Phu Quoc (Phú Quốc) pepper, and caramelized artichoke. The wine list here is extensive with a lot of options. 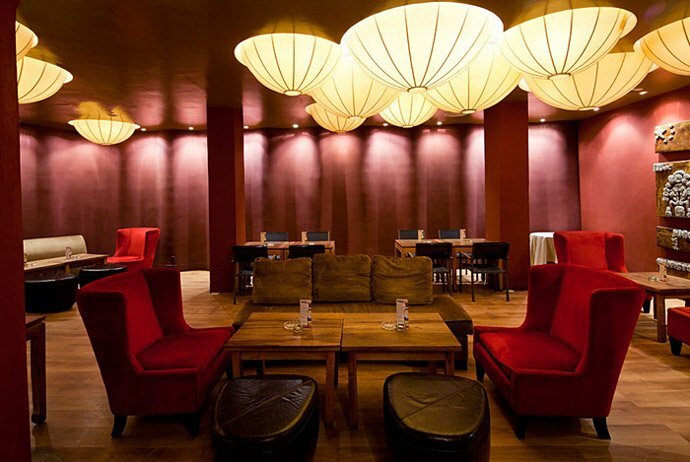 Camargue is next door to other well-known restaurants and bars, like The Refinery Saigon Bar and Restaurant. Address: 74/7D Hai Ba Trung (Hai Bà Trưng), District 1. Housed in an architecturally impressive pavilion which is set between the river and an elegant garden, The Deck Saigon is a kind of place where guests could happily linger afternoon. Located about 15 minutes from Saigon’s centre, this restaurant is one of the most elegant Ho Chi Minh restaurants, which has been extensively praised as “one of Asia’s finest restaurants”. When coming here, you could enjoy breakfast, lunch, brunch or dinner on such a large outdoor wooden deck. The menu of the Deck Saigon is created by chefs Adrian Scott and Cao Lam Gia (Cao Lâm Gia). This menu is based on contemporary pan-Asian fusion cuisine that emphasizes on simplicity. Besides, it is said that the best local and imported produce contains seafood flown in from Phu Quoc Island, meat from New Zealand, and veggies from Da Lat (Đà Lạt). Having romantic setting with cruises along the adjacent river, it is possible for The Deck Saigon to bring you to the dinner table by boat. Yet, book in advance when making your reservation. Location: 38 Nguyen U Di (Nguyễn Ư Dĩ), Thao Die (Thảo Điền), An Phu (An Phú), District 2, Ho Chi Minh City. 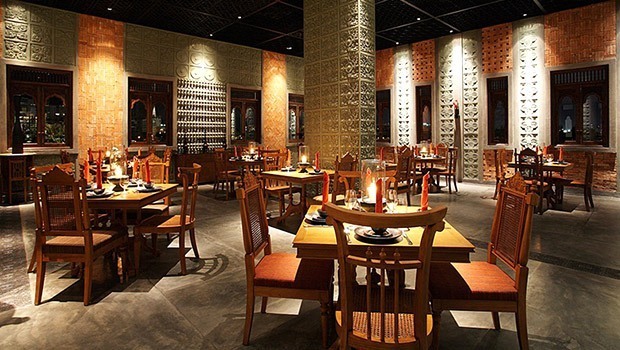 Do not leave your desk before reading 8 left highly recommended Ho Chi Minh restaurants below! 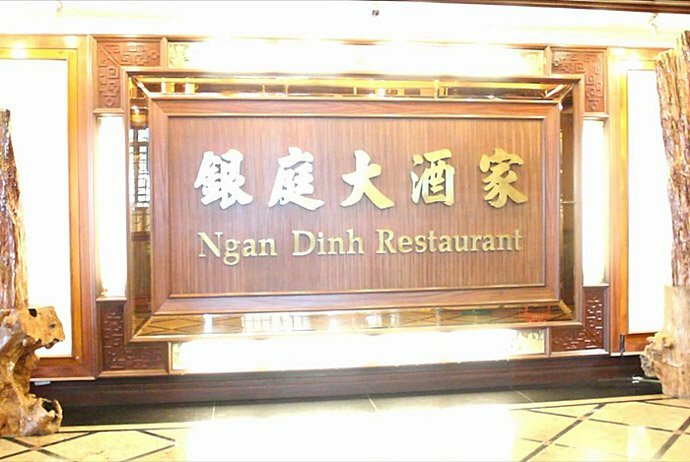 Undoubtedly, Ngan Dinh is the best option for those who want to taste the wonderful Cantonese, Chao Zhou, and Szechuan cuisine at such incredibly reasonable prices. Situated in the 5th floor of the Windsor Plaza Hotel in Chinatown, Ngan Dinh is a hidden gem with authenticity of the food and flavors, making it a truly unique dining experience for any guest. Renovated just last recently, the entryway contains a great collection of Chinese art and a wall featuring 12 aquariums. This is the place that diners can choose from a variety of fresh seafood. Location: 18 An Duong Vuong (An Dương Vương) – 5th Floor, District 5, Ho Chi Minh City. This restaurant is hosted by the famous chef Bobby Chinn. With a global menu featuring signature recipes of Bobby Chinn, this restaurant has modular layout and is an ideal choice for all kinds of events. Having unique combination of international flavors, which is so natural, enjoying food in Restaurant Bobby Chinn would be a great treat to your taste buds. Every bite of whatever food you choose to try, from Vietnamese Sticky Rice Dumplings to Moroccan Bisteeya to tapas, would be perfect. Yet, do not forget savoring the desserts before leaving the restaurant. Location: 39 Le Duan (Lê Duẩn), Ben Nghe (Bến Nghé), Ho Chi Minh City. 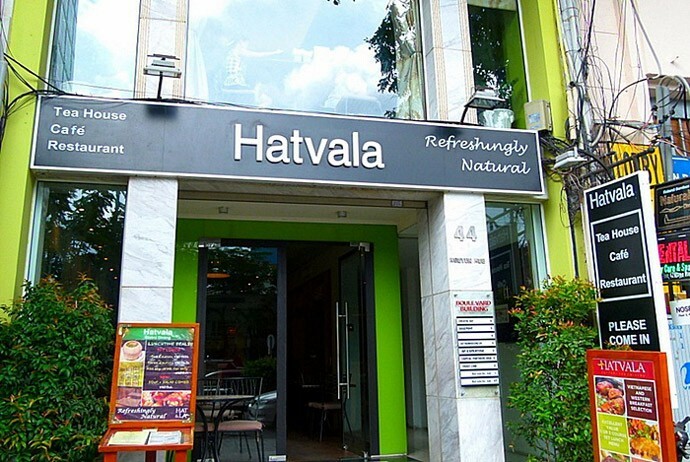 With Hatvala restaurant, the interiors were designed by an expat living of Saigon and combines natural, local materials like oak furnishings and water hyacinth wall paneling with bistro style seating. Hatvala’s menu offers a wide selection of soups, starters, salads, and main courses with great attention to every detail. When you enjoy dishes here, you will feel like they are the work of careful and skilful preparing, cooking and presenting process. Guests’ favorites include Salmon rolled Pork with the ginger sauce, Grilled Mackerel in Banana leaf, and more. Thus, do not skip this restaurant when visiting Ho Chi Minh City in the near future. Skewers Restaurant is a long standing favorite of Saigon locals. Also, it has been serving up Mediterranean food for more than 11 years now for people in need of a break from the local fare. The flame-bursting barbecuing of Skewer Restaurant is well done in the open-air kitchen. The menu here is generous and offers unpretentious food which truly reflects the style of Mediterranean cooking. Age-old favorites like baked fish and moussaka are well presented alongside some great recipes like the ribs dipped in honey or vodka-flamed beefs – guaranteed to successfully arouse even the curiosity of even those most experienced diners. Salads are tasty and large, accompanied with dips such as baba ghannouj and hummus. Most noticeably, this restaurant offers some of the best cigars as well as whiskey in town. Location: No. 9 Thai Van Lung (Thái Văn Lung), Ben Nghe (Bến Nghé), Ho Chi Minh City. May Restaurant is a restaurant making guests feel like home, which serves Vietnamese family dishes. The dishes are greatly coked in traditional Vietnamese skills as if they were done in 1960’s. The restaurant is housed in a French colonial building. May came to life when the owner Tu Tho (Tú Thơ) returned to her native country after growing up abroad, realized that the Vietnamese home-cooked food’s flavors in her hometown were not easily found in Saigon. Despite the staff are not very good at English and a little bit shy, they are very friendly and attentive. May restaurant only uses locally sourced and fresh ingredients and is categorically against MSG. The worth-trying dishes here are the pink duck breast with ginger fish sauce (nước mắm) and the more classic friend tofu with chili and lemongrass. Location: May Restaurant, 3/5 Hoang Sa (Hoàng Sa), District 1, Ho Chi Minh City. 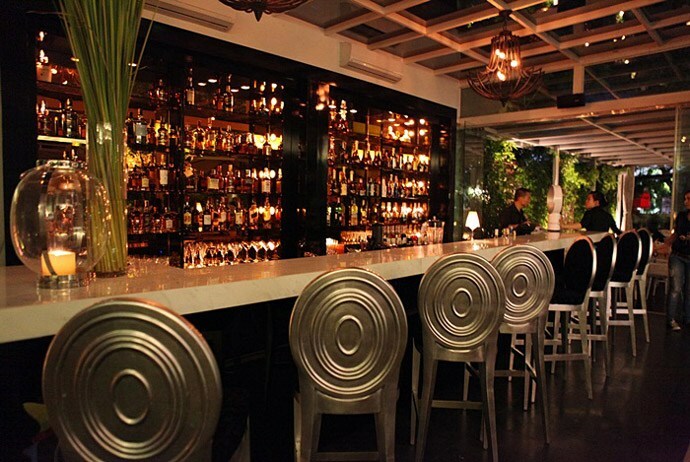 One of the best downtown Ho Chi Minh restaurants is Temple Club. This restaurant is a perfect blend of many cultures. The building where this restaurant is situated is designed in Indian style, the atmosphere is casual European, and the decoration has influence of Chinese and the menu is blended from different countries all over the world. One of the greatest factors of this restaurant is the classic feel of Ho Chi Minh City it gives. Do not skip trying shrimp and pork spring rolls. The restaurant has become well-known since Brad Pitt and Angelina Jolie had dinner here. Location: 29-31 Ton That Thiep (Tôn Thất Thiệp) Street, Ho Chi Minh City. 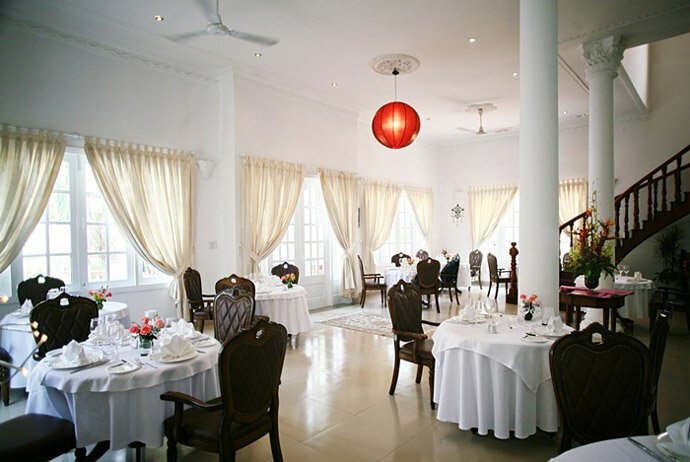 Set amid a garden featuring an infinity fountain, Ly Club has French colonial-era style and is located in Ho Chi Minh’s District Three.The design concept of Ly Club is apparent from the moment that guests set foot inside: wide elliptical arches, white walls, nouveau chic furnishings, fine art, and ornate lighting. All of them create a cultured, but relaxed atmosphere in the dining and lounge areas. 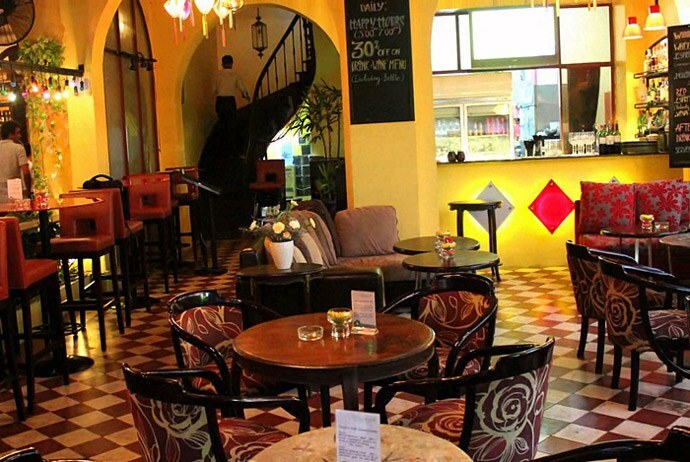 Having both cuisines of Vietnam and Western countries, made by using skillful classical French techniques, the menu of Ly Club is split into two separate sets – one offering traditional Vietnamese food and the other offering a great combination of European dishes and the flavors from some exotic countries. Dish favorites are lobster with the dragon fruit, pan seared scallops with crunchy black sticky rice, and sesame-rice and oil cracker. Location: 143 Nam Ky Khoi Nghia (Nam Kỳ Khởi Nghĩa), District 3, Ho Chi Minh City. One of the most enjoyable Ho Chi Minh restaurants is Ngon restaurant. This is a delight, comprehensive menu of classic Vietnamese dishes. The waiters are good at speaking English and the surrounds are beautiful. 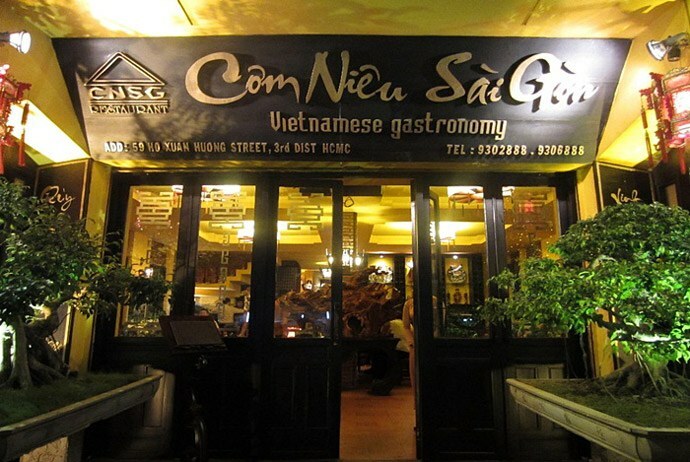 Situated on Pasteur Street in the center district of Saigon – District 1, Ngon restaurant just takes 10 minutes walk from the Ho Chi Minh Opera House. There, you have discovered 19 out of best Ho Chi Minh restaurants that should not be skipped. So, take your pick of reasonable places to eat in Saigon for your trip in the near future. In this list of Ho Chi Minh restaurants, whatever you pick, we are sure you will not be disappointed, and some of these restaurants definitely will not eat your budget.